Dictionary.com’s computer science definition of hosting is a computer containing data or programs that another computer can access by means of a network or modem. In other words, when someone goes online and types in www.yourdomain.com, that request is sent to a computer that stores (or hosts) your Web site files. Once that computer receives the request, it sends the information (your Web page) back to the person surfing the Web. Because you never know when someone will request this information or how often or how many people will request it, it is essential for your site to be hosted on a very fast, reliable machine that is always on and maintains a very fast connection to the Internet. There are many perks included with your hosting account. Web Site Statistics – Monitor how many visits your web site receives, error messages, as well as where your website visitors are coming from. 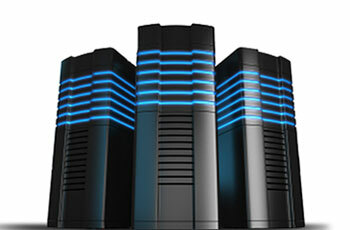 Low Cost – Hosting charges start at only $10.00 US per month. We also invoice for this only once yearly for your convenience or we can set up a monthly plan. POP3 and IMAP email accounts – All hosting accounts include 5 individual email address’s for your domain that can be checked with any program you prefer. Web Mail – Access your email from anywhere you have internet access. Similar to having a Gmail or Yahoo mail account but uses your domain. Q: Do I need this? A: It depends… If you have a web server at home or small business chances are you can host the site yourself. Otherwise you can have your site hosted here at CTCDesign for a small monthly charge. Q: What about all those places that advertise free hosting? A: The old saying that states nothing in life is free definitely applies here. Sure, you can host your Web site without a dollar fee each month, but, you get what you pay for. Most of these companies pay for the service through forced advertising on your site. And, they are going to be unreliable, low quality services. After all, if you aren’t paying, you really don’t have any recourse to complain when your site is down..